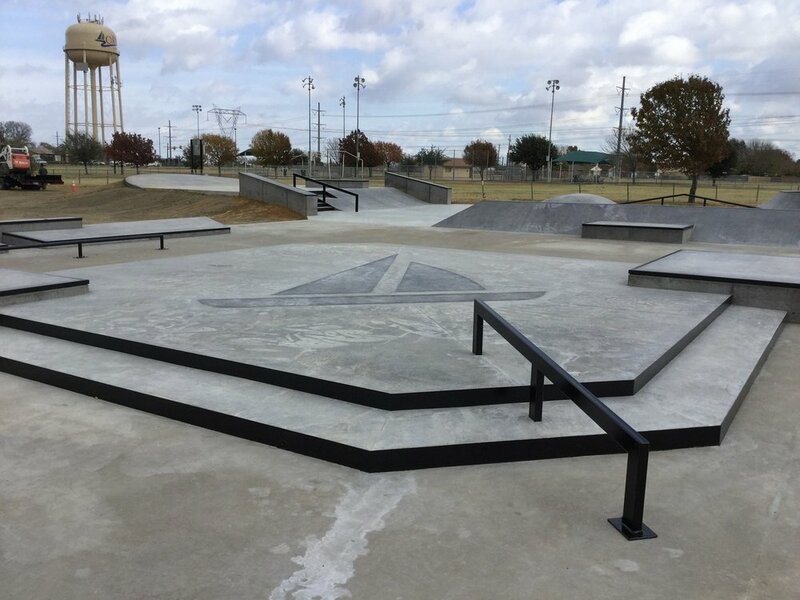 In December 2017 The Colony, a suburb of Dallas, TX, completed the conversion of their skatepark from modular ramps to permanent poured in concrete, for the modest sum of $300,000. They achieved this remarkable transformation by leveraging the existing investment in the slab that was already present. The new park also benefits from enhanced placemaking including removing the imposing chain link fence, new shade features and benches. We share this concept because it is a process that could potentially be applied at Dallas' own St. Francis Skatepark. Photos courtesy of SPA Skateparks / New Line Skateparks who built the project.